Hatchie Fall Fest will celebrate 15 years when the festival open Saturday, October 20, in downtown Brownsville, Tenn . Festivalgoers from all over the Mid-South will gather on the historic court square beginning at 10 a.m., for an event that has grown to attract more than 8,000 attendees annually. The family-friendly celebration includes kid’s games and activities, contests, live music, arts and crafts and lots of food. Along with great music, festivalgoers will enjoy browsing over 100 arts and crafts booths and local merchant sidewalk sales. The Frozen T-shirt Contest is back, as are the Pet Show and Blessing, wrestling, and corn hole competitions. 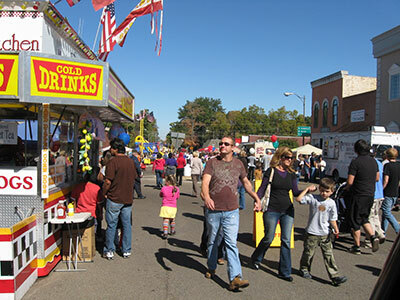 The Hatchie Fall Fest is held annually on the third Saturday of October. Admission to the festival is free and open to everyone. For more information and a complete schedule of events, visit www.hatchiefallfest.com. CAPTION: Kids of all ages will find something fun at this year’s Hatchie Fall Fest including a day filled with arts and crafts, fun foods, contests and live music. The family-friendly event is planned for October 20 beginning at 10 a.m. Admission is free.